Jesus said, 'I myself will lead her in order to make her male, so that she too may become a living spirit resembling you males. For every female who makes herself male will enter the kingdom of Heaven.' "
- The Gospel of Thomas. 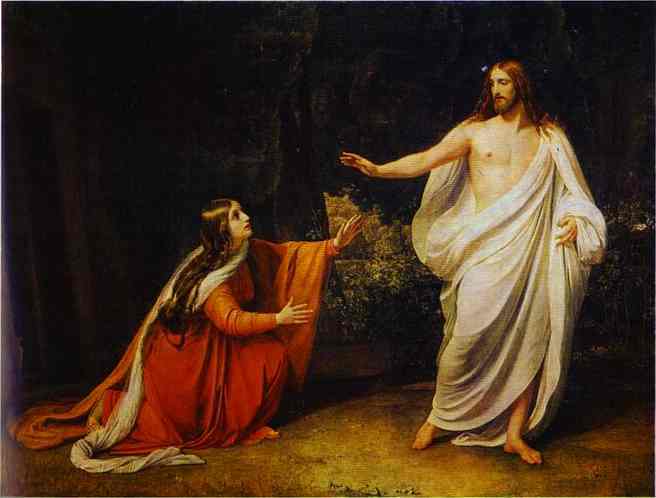 * Here Simon Peter is talking about Mary Magdalene, the beloved companion, and as hinted from the gnostic gospel to be the most wise disciple of Jesus Christ (blessed be his soul). Now i would like you to give your insight and thoughts on this particular text where Jesus says, for every female who makes herself male will enter the kingdom of Heaven. I find it very significant when see the details description of the Heaven found in The Final Revelation, the Quran are mostly talking about male. i just wonder, is there a grand mystical secret itside it which Jesus gave hint here, when Peter asked Jesus to reject Mary from the group?! 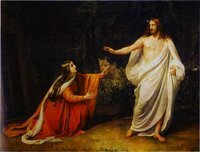 What did Jesus really meant by saing, 'make her male'? check the comments section of this post for some facinating views. hopefully soon i will compile them in a separte post. also pls don't forget to add up your thoughts in the comment.